FILING CLOSES: This examination will remain open until the needs of the service are met and is subject to closure without prior notice. This announcement is a rebulletin to reopen the filling period . Persons who have already applied within the last twelve (12) months need not reapply, but may submit additional information by the last day of filing. The information must include your name, the correct examination title and number. Incumbents of the temporary positions allocable to this class participate in on-the-job training programs or training assignments individually structured and monitored by the departments to which they are assigned. Hours completed under this temporary position may be used as work experience towards meeting selection requirements to compete in Recreation Services Leader exams. Incumbents may receive formal or informal instruction in the basic principles of the work and govern satisfactory performance on the job. Additionally, under the direct supervision of a working or first level supervisor, incumbents receive practical guided work experience to prepare them for entry level assignments, or to continue educational pursuits in the particular field. Assists with manual work in the construction, repair, and maintenance of trails, buildings, and other park features as needed. Identified asAt-Risk Youth * by a County of Los Angeles authorize department, or other local, state, or federal agency, or by a school district, college district, or other educational institution, or a bona fide non-profit organization whose mission includes fostering or enhancing employment opportunities for At-Risk Youth. **Applicant must meet age requirement at time of filing. Candidates may be requested to provide proof of age at any time, including time of appointment. Candidates under the age of 18 must present a work permit at time of appointment. Some positions may require applicants to meet specific age limitations at the time of appointment. Involves frequent heavy lifting over 25 pounds, often combined with bending, twisting, or working on irregular surfaces; occasionally requires extraordinary physical activity. *Tomeet therequirement of being identified as an"At-Risk Youth,"applicantsMUSTsubmit a completed "Program Participation Verification" Form at the time of application or by the applicable date listed below. The "Program Participation Verification" Form can be downloaded by clicking HERE . Verifying organization must bea third party. INCOMPLETE FORMS andVERIFICATIONS MADE BY FAMILY orDEPARTMENT OF PARKS & RECREATION EMPLOYEES WILL NOT BE ACCEPTED. If you are unable to attach this form at the time of application, please use one of the submission options before the appropriate deadline listed previously. Note: Forms must be completed before submitting. This includes all boxes and a hand written signature by the verifying organization representative. Incomplete forms will not be accepted. You MUST include your full name, the full exam title and the exam number on the top of the form. Options1 or2 are the preferred ways to submit your form. The department is not responsible for any forms lost (i.e. sent to the wrong email address,mailing address, or lost mail). Attachment : scan and upload to your application. Email : scan the completed form as an attachment to jkennington@parks.lacounty.gov . In person : drop off the completed form to the below address. Office hours: Monday - Thursday 7:30 AM - 5:30 PM. Our office is closed Friday, Saturday, Sunday and holidays. Please note parking is available on site at your expense. Mail : the completed form to the below address. This examination will consist of a multiple choice test weighted 100% covering achievement, collaboration, compliance, confidence, reliability, safety judgment, and safety orientation. Candidates must achieve a passing score of 70% or higheron examinationto be placed on the eligible register. NOTE: ALL MULTIPLE CHOICE TEST INVITATIONS WILL BE SENT VIA EMAIL TO THE EMAIL ADDRESS PROVIDED ON THE APPLICATION. It is important that candidates provide a valid email address. Please add jkennington@parks.lacounty.gov to your email address book and list of approved senders to prevent email notifications from being filtered as spam/junk mail. The names of candidates receiving a passing grade in the examination will be placed on the eligibleregister in the order of their score group for a period oftwelve (12) months following the date of promulgation. VACANCY INFORMATION: The resulting eligibleregister for this examination will be used to fill temporary vacancies in the Department of Parks and Recreation. Go to: http://governmentjobs.com/careers/lacounty and search for "Youth Worker", Click on the name of the bulletin you are applying to, click the green "Apply" button. APPLICATIONS MUST BE FILED ON-LINE VIA GOVERNMENTJOBS.COM WEBSITE. APPLICATIONS AND RESUMES SUBMITTED BY U.S. MAIL, E-MAIL, THIRD PARTY WEBSITES (IE: Indeed.com, etc. ), FAX, OR IN-PERSON WILL NOT BE ACCEPTED. CORRESPONDENCE AND UPDATESWILL BE SENT VIA E-MAIL. 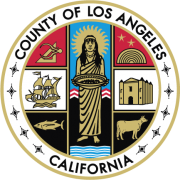 We strongly advise applicants to add jkennington@parks.lacounty.gov to your e-mail address book/contacts and safe list to ensure receipt ofnotifications and tocheck your junk/spam e-mail folder regularly. Should any of your contact information change, including mailing address, please notify our office. You will also need to log back intoyour GovernmentJobs.com profile/account, and update it. Computer and Internet Access at Public Libraries: For candidates who may not have regular access to a computer or the internet, applications can be complete on computers at public libraries throughout Los Angeles County. Social Security Number: Please includeYOUR Social Security Number for record control purposes. Federal law requires that all employed persons have a Social Security Number. No Sharing of User ID, e-mail and Password: All applicants must file their application using their own user ID and password. Using a family member's or friend's user ID and password may erase a candidate's original application record. We may reject your application at any time during selection process.